Document output systems are often overlooked when organizations are considering IBM i modernization initiatives. But moving to an electronic forms solution to modernize your printed forms, checks and labels is one of the fastest projects to implement and can generate one of the quickest ROIs. 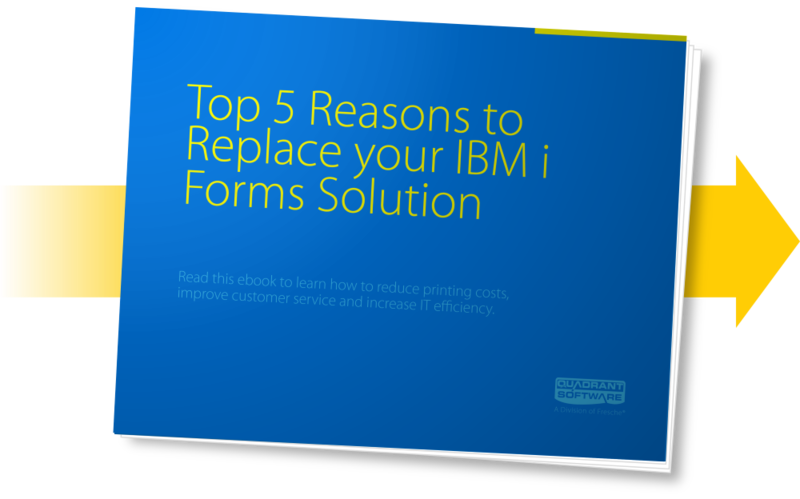 Moving to a new forms solution is easier than you think. To learn more, complete the form on the right and download the eBook. You can also learn about Formtastic.